4k Stress Crack: Big Deal? Just inspected my P3 4K and noticed that one of the arms has a hairline crack (see picture). I have 13 flights with a total of 1 1/2 hours of flight time. Purchased in July. 1. Is this even that big a deal? I highly doubt my bird is going to fall apart mid flight and crash to the ground. I would imagine that many people have these without even realizing it. 2. Although it's under warranty, I did have a very gentle crash a couple of months back. I hit a small tree about 8ft up and it softly fell to grass. Absolutely no damage (cosmetic or structural) was done. The stress crack was NOT there after the crash. In fact, it must have developed over the last flight. Does DJI require flight logs, or do they just inspect the drone to determine if it's under warranty? Experiences with this? If it is something that I need to send in, I sure hope that DJI honors he 12 month warranty. Thoughts and suggestions appreciated! Does DJI require flight logs, or do they just inspect the drone to determine if it's under warranty? The flight logs are also stored on the Phantom's internal memory card. So, DJI will see you crashed it if you decide to send it in for repair. Gotcha. should I be concerned about the crack? I would imagine that I can/will keep flying as long as it doesn't worsen. I can't see it getting worse... But if more appear else where then it might be advisable to send it in. Also don't sent it to DJI. you will have a 12 month warranty with the store you got it from. Best get it there as it's quicker and same day swap. If they do argue that happened with a crash ( which you can point out if there was a crash the damage would be worse) and they won't exchange then take it to DJI. I'd personally be more concerned about cracks around the four motor screws. If you don't want to fix it right now, just keep an eye on it. All should be just fine as long as the shell is not separating -- which probably won't occur since it snaps together on the sides of the arms. Are you sure about the return/warranty policy? I purchased from Best Buy. I was under the impression that they were only liable for defects for 30 days after purchase. After that, I thought DJI had to handle any warranty issues. I'm not sure where the OP lives, but no stores in the US offer such a warranty. Well, I guess I'll keep flying her as is. I'm pretty sure that won't work here in the USA. At least not from somewhere like Best Buy. That's a four month old drone. No offense, but I think you would literally be laughed out of a Best Buy in the US if you tried that. They will immediately tell you to contact the manufacturer. I agree. We don't operate like that in the US. Perhaps that's why everything is more expensive there? Best Buy in the US makes millions of dollars per quarter selling extended warranties. Many times, even those don't cover repairs. 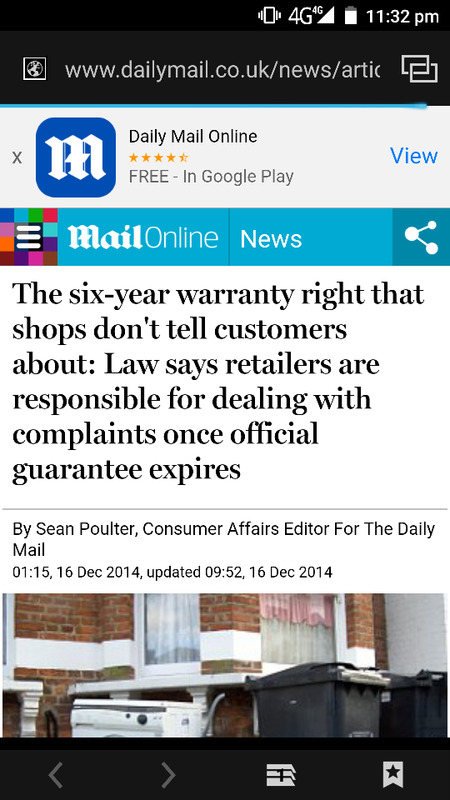 Does Best Buy in the UK sell extended warranties? If every product is covered for six years, then why? Could I take a broken 5 year old iPhone 3G into a Best Buy and demand compensation? Back about what the OP was wondering, I wouldn't be concerned about the crack. Only if it grows or more appear should you worry. I saw this one pop up on my standard a bit ago. I got some bondic plastic welder and patched the crack, applying a good amount under the arm where the crack still had room to grow. I have had at least a few hours of flying since then and no growth.